In Louis Van Gaal’s first game in charge against a strong La Galaxy team, he handed starts for new signings Luke Shaw and Ander Herrera, and gave Darren Fletcher the captain’s armband. Van Gaal started the game with a strong line-up in a 3-5-2 formation with Evans, Jones and Smalling as the three centre-halves with Juan Mata behind Danny Welbeck and Wayne Rooney up top. 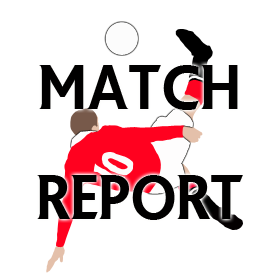 The game finished in a 7-0 victory for the reds, after goals from Danny Welbeck, Wayne Rooney(2), Reece James(2), and Ashley Young(2) from which the squad gained some valuable fitness putting the result aside. United started the game as if they were the team that were in the middle of the season, and dominated the play from the start. Mata dictated the play for the first ten minutes and asked for the ball constantly. Herrera nearly opened the scoring with a shot from 28 yards out but a good save prevented him with a goal in his first game. The very bright start United made finally got the goal it deserved on 13 minutes, after a run by Mata – he set Welbeck up, and from 25 yards the Longsight-born striker scored off the post. Herrera stepped up and started to show why United bought him and was asking for the ball consistently. From the start we kept the ball very well, and when we did lose the ball we won it back very quick due to pressing high, which was excellent to see. In the last 15 minutes of the first half the play seemed to slow down, until three minutes before the whistle where United won a penalty from a handball from the LA Galaxy defender, Delagarza. Wayne Rooney took the penalty and slotted it home to make it 2-0. Then a minute from the end of the half, Rooney scored a second, and it was 3-0 after some horrible defending from LA Galaxy. The second half saw a mass amount of changes as expected; only Fletcher and Herrera kept their place with Fletcher dropping to centre back with Michael Keane. 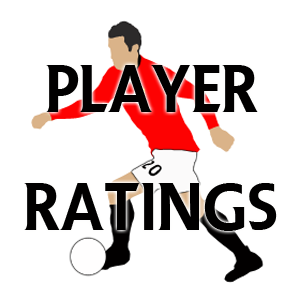 United switched to a 4-4-2 and also gave appearances to Reece James and Tyler Blackett. United continued to keep the ball well but the second half was very even, and there wasn’t an awful lot of chances due to a lack of a striker. Then in the 62nd minute, Reece James scored a debut goal with a great finish from the edge of the box to make it 4-0. Reece James again scored to make it 5-0 with a cool side footed finish inside the area. Goals started to fly in and on the 88th minute, Ashley Young made it 6-0, with a brilliant through ball by Herrera. Then United made it 7-0 as the same partnership combined, allowing Ashley Young to grab his second goal in a matter of minutes. The whole performance was very unexpected and not many expected a win let alone seven excellent goals. It was a massive difference from David Moyes’ first pre-season game in charge when United lost 1-0 to the Singha All Stars. In the first half the 3-5-2 suited us very well for the players we had, and the 4-4-2 in the second half worked too, meaning if needs be United can change things up. The lads dominated LA Galaxy throughout and fitness did not seem an issue at all, despite the LA lads being in the middle of their season. Ander Herrera deservedly won man of the match for an absolute sublime performance, and well what can you say. An excellent result!